Join The Parisian Macao as they commemorate Michael Jackson at one of the greatest shows in the region, Thriller Live at the brand new Parisian Theatre! Want to join in on the fun? 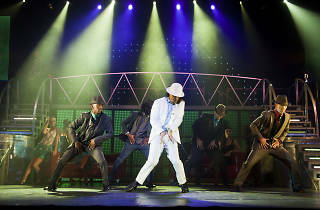 Here’s your chance to win tickets to Thriller Live plus round-trip ferry tickets this September. Get into your best Michael Jackson mood and simply upload a video on Facebook or Instagram of your best moonwalk, zombie dance or cover of a Michael Jackson song with the hashtag #ThrillerinMacau. Good Luck!